Newton-Raphson zooming and Evolution zoom methodFor more than a year I didn't have any inspiration. Actually I think my last two submissions were even pretty boring. Now I have many new ideas again. I have at least 5 more renders planned right now, deeper and with more iterations than ever before. Extremely deep and spectacular HD Mandelbrot zoomThe zoom video that I mainly purchased my computer for is here. After 11,5 months of rendering, here is probably the most calculation-intensive Mandelbrot zoom to date. Simulating Julia morphingsAlmost all of my images from the last few years are the result of using Julia morphings that occur in the Mandelbrot set. It takes a lot of time and effort to find their location and render them. Therefore it is extremely beneficial to have a good idea of what the result is going to look like. 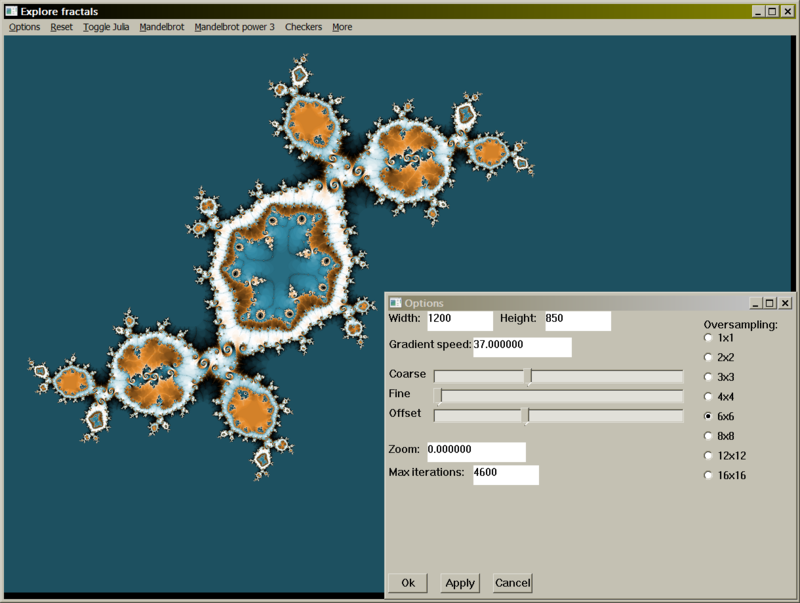 If you explore the Mandelbrot set a lot you can do a simulation in your head. You can then zoom to the location and see if it looks any good in reality. In this article I give information about Julia morphings and how to simulate them with a computer instead, to get a better idea of what to expect when zooming in on the Mandelbrot set. I also talk about whether such a simulation can replace real renders of deep locations.